Lithonia Lighting Sensor Switch™ Relay occupancy sensor in white color, features passive infrared and microphonics technology. It has sensing distance of 16 - 36-ft and extended range 360-degree viewing angle. It features matte finish and plastic lens. Sensor requires 120/277-Volt AC voltage for operation. It is suitable for classroom, larger spaces, large restroom and retrofitting classroom with concrete ceiling. Sensor measures 4.55-Inch Dia x 1.55-Inch. Sensor has programmable push- button, adjustable time delays, multiple operating modes and 100 hours lamp burn-in timer. It does not require any field calibration or sensitivity adjustments. 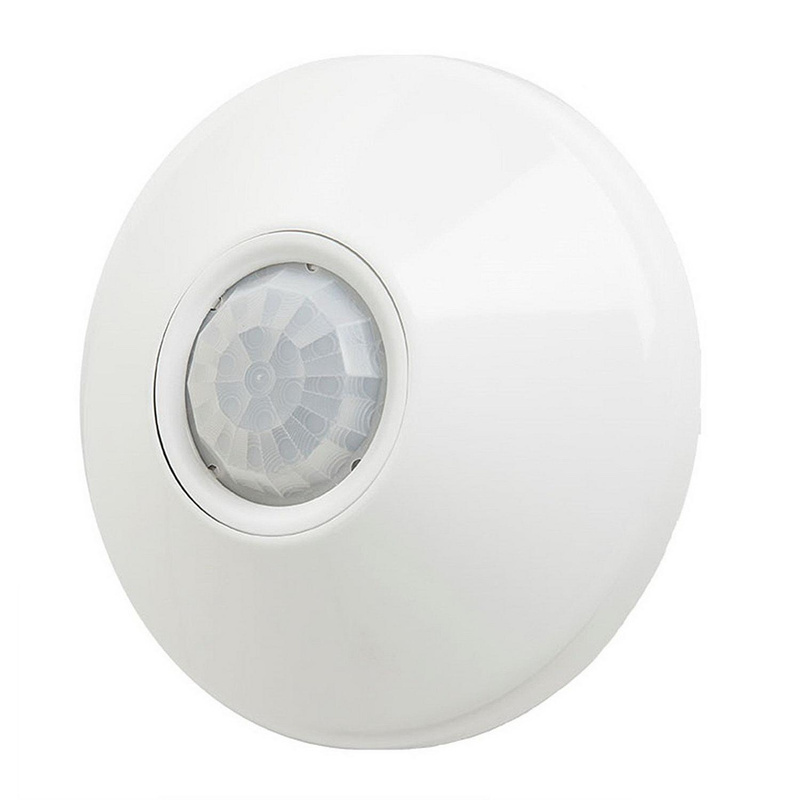 It is ceiling mounted at a height of 7 - 15 ft. Sensor is UL/cULus listed and RoHS compliant.